Liuzhou Government have been polishing up their Chinglish and proudly announcing that Liuzhou has 20,862 square metres of pedestrian walkway. Indeed, for “new roads, a 3-meter-wide pedestrian walk is compulsory”. 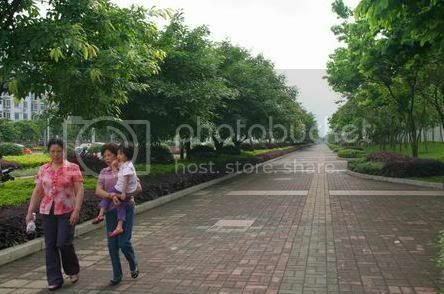 They illustrate this by providing this idyllic shot (left) of the peace and tranquillity one is liable to find in Liuzhou’s beautiful pedestrian havens. Unfortunately, it is not only the Chinglish which is complete nonsense. 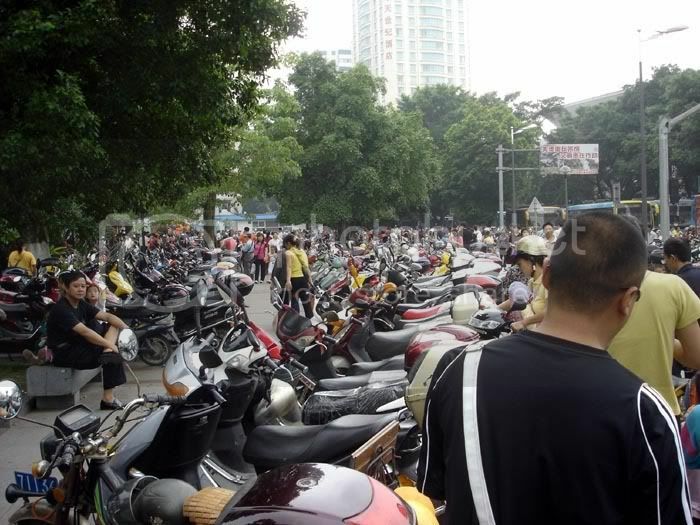 This is what Liuzhou’s pedestrian areas really look like. Full of killer scooters. Or, we can stroll through the city square while cars and buses whizz around us. 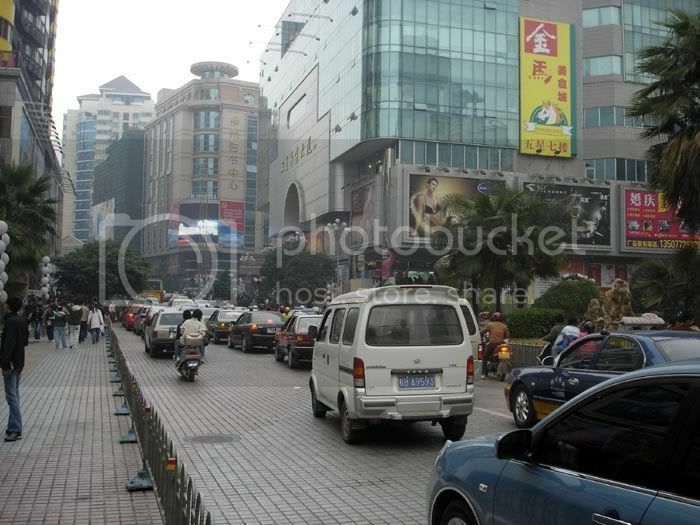 And here is Liuzhou’s first pedestrian only street. Yes, full of cars. They are diverting traffic through here while they dig up the main road to build their ludicrous underground shopping mall. The truth is that the pedestrian is at the end of the food chain as far as the local government are concerned. After all, they never walk anywhere.
. This entry was posted on Thursday, May 15th, 2008 at 2:36 pm	and is filed under About Liuzhou, Liuzhou Life, Liuzhou News, Stupidity, Traffic Traumas. You can follow any responses to this entry through the RSS 2.0 feed. Both comments and pings are currently closed.